With its rich history in electronics, high tech materials and data innovation, the Netherlands is a leader in automotive & mobility solutions. It is ranked as the #1 country most prepared for autonomous vehicles according to KPMG, and leads European countries in automotive disruption according to Roland Berger. From truck platooning, to power electronics, smart charging infrastructure, and solar and hydrogen technology, the Dutch are driving the future of mobility. Holland’s innovation-minded government, modern infrastructure and strong traffic management expertise, make the country an ideal test bed for automotive & mobility solutions. Holland is already the world’s 5th largest market for electric cars. Its charging infrastructure is the densest in Europe and one of the most reliable in the world. The Dutch work together on an open protocol to charge and de-charge electric vehicles to the grid providing a new way of storage. Regions like Utrecht are already testing concepts such as linking solar panels of homes to chargers on the street. Initiatives such as the Traffic Innovation Center link industry, research and government to determine how traffic infrastructure can work with the connected vehicles of the future. A case in point: Daimler ran the first operational test by a self-driving bus outside a closed test course on Holland’s roads. Dutch shared research programs such as Holst, Solliance and Brightlands Materials are developing new materials to use in cars, ranging from thin film electronics and solar panels to light weight heat-resistant polymers. Organizations such as Eurocarbon and the Thermoplastic Research Center (TPRC) have know-how to make and implement new generation light weight composites, based on aircraft technology. Holland’s technical universities are pioneering smart mobility solutions for, among others, solar cars and the Hyperloop. TU Delft’s Hyperloop team won Elon Musk’s prestigious Hyperloop Challenge in 2016. 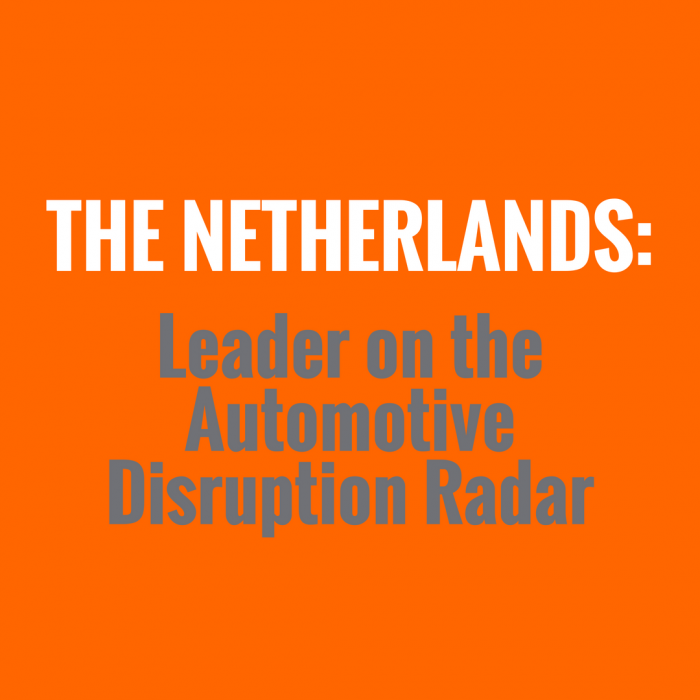 At the same time, Dutch disruptive startups are creating new automotive & mobility concepts. Holland is home to world-class innovators such as NXP, TomTom and HERE; production companies such as VDL; and materials specialists such as DSM. With more than 100 years of electronics expertise by Philips and its spinoffs, Holland is moving fast in mobility.